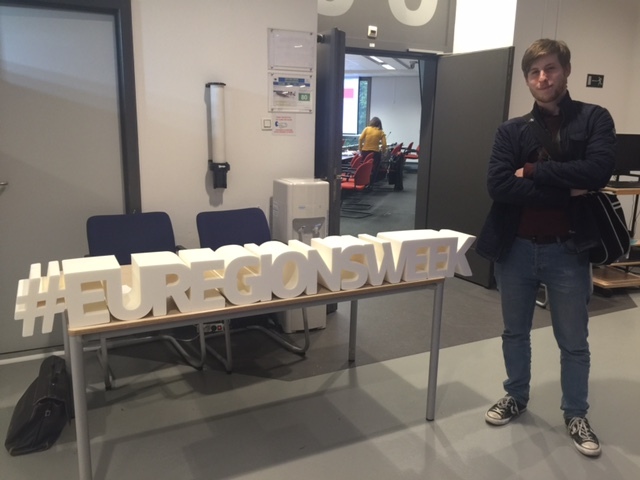 ESEC chair Cllr Ben Lawrie and policy officer Joanne Scobie have returned from a packed visit to Brussels for the EU Week of Regions and Cities, brushing up on familiar topics and learning about lots of new issues. We had sessions on resilient communities, transnational cooperation in the Brexit era, 25 years of LEADER and CLLD, local/regional leadership and creating fair opportunities for rural-suburban areas. 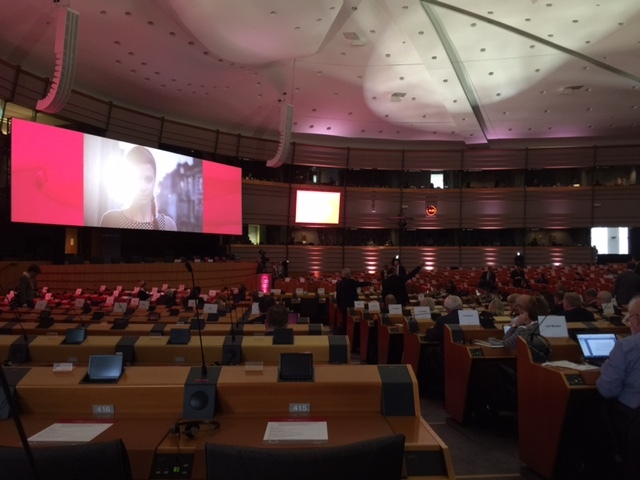 The opening session took place in the European Parliament hemicycle, an awe-inspiring and impressive chamber which usually houses the business of 751 MEPs, including 73 from the UK and 6 from Scotland. The opening session included remarks from Corina Crețu, the European Commission for Regional Policy, and Karl-Heinz Lambertz, the President of the Committee of the Regions. 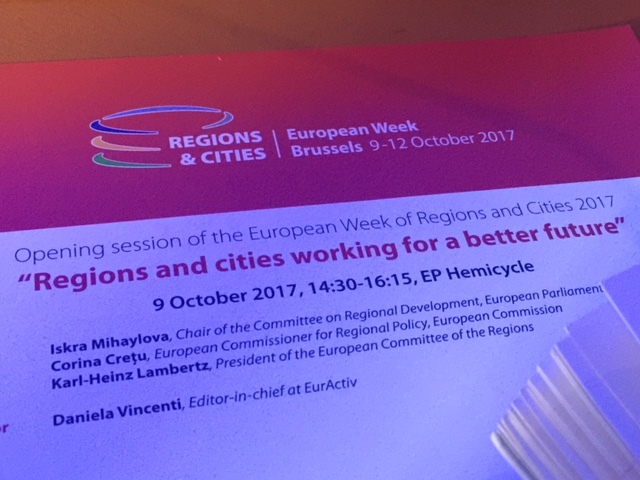 The Commissioner highlighted that this was the 15th year of the EU Week of Regions and Cities, during which 75,000 delegates had taken part, mostly from local and regional authorities. Looking to the future, she stressed the importance of the Cohesion Policy in bridging gaps and inequalities throughout the EU, however there remained challenges on communicating how it is applied on the ground. Despite Cohesion Policy impacting every town and region in EU, mostly through the Structural Funds, citizens’ awareness remained low. Commissioner Crețu presented the 7th Report on Economic, Social and Territorial Cohesion, which follows the European Commission’s white paper on the Future of Europe, and ahead of the upcoming proposals on the next multi-annual financial framework. The report highlights that although regional disparities are shrinking, unemployment rates remain above the pre-crisis levels in a number of areas, and even in wealthier regions, poverty and social exclusion are still too high. Cohesion Policy therefore remains more relevant than ever and “constitutes the DNA of Europe.” The full report can be accessed here. 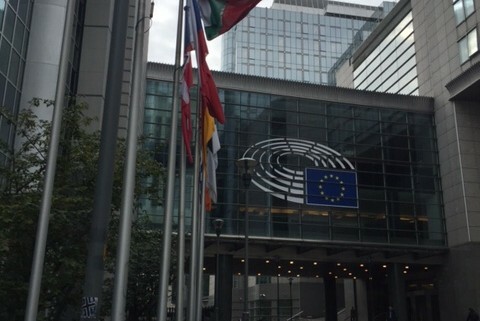 It was an interesting time to be in Brussels – the week-long event took place at the same time as the 5th round of Brexit negotiations, which Michel Barnier concluded had ended in deadlock. Even though we will no longer be a member of the EU from March 2019, there will still be plenty of opportunities to collaborate should the UK government choose to do so, like Norway does within certain EU funding programmes. 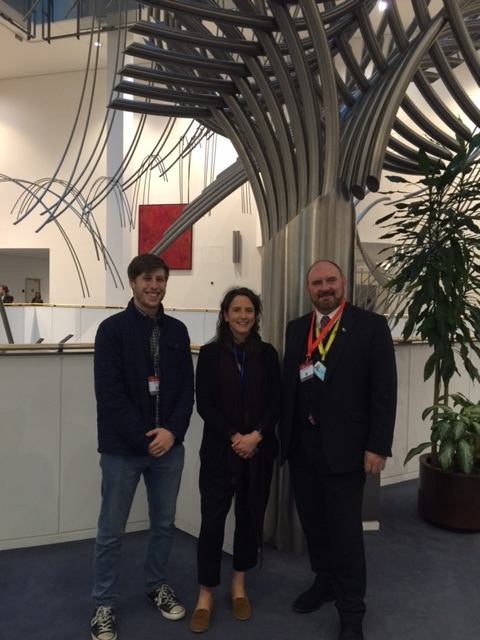 This potential for collaboration was reaffirmed during our networking with colleagues from the EU27 (and Norway!). Scottish local authorities have an excellent reputation within the EU institutions and public administrations across Europe for delivering high-quality EU-funded projects, and we have built up strong networks over the decades. The message to us was clear – where possible, we are encouraged to continue collaborating together on issues of mutual interest and advantage. This is particularly pertinent in the transnational funds INTERREG, URBACT, Erasmus+ and Horizon 2020. Aside from these informal discussions around our changing relationship, it was notable how little Brexit was mentioned at the official level, suggesting that indeed the EU27 is moving on and their focus is now on shaping their shared future (via one of the 5 scenarios presented in the Future of Europe white paper), and of course negotiating and agreeing the next budget, to take over the current framework from 2021. The few times that Brexit was mentioned was in the context of the financial settlement currently being negotiated between the EU and UK, and which is proving to be an obstacle in moving talks on to the future relationship. In terms of Cohesion Policy, it was stressed that if the UK paid anything less than its agreed budget contribution for 2014-20, this would have a negative impact for the delivery of ongoing and future projects across the EU, many of these being led by local authority partners. A concrete example of this was provided by the INTERREG North West Europe Director. The UK Treasury has guaranteed that all projects which meet their stated criteria and which are signed off while we are still a member of the EU will go ahead. However, this guarantee will naturally only apply to projects which involve a UK partner. If the UK pays less than its agreed contribution for the 2014-20 period, then programmes such as INTERREG will suffer from an unexpected reduction in budget, impacting the amount of projects they can support, as well as the length of time. The EU Week of Regions and Cities has a great ‘everyone under one roof’ atmosphere and aside from the workshops and networking with EU partners, ESEC also managed to catch up with former ESEC chair Mairi Gougeon MSP, WoSEF chair Cllr Tony Buchanan, and colleagues from HIE, HIEP, Scotland Europa, CoSLA and the University of the Highlands and Islands. We have a shared strategy on Brexit – Scottish stakeholders will remain engaged and visible within the EU while we are still members, and even when we are not. We will continue to be enthusiastic partners in delivering EU-funded projects and we remain available to share our expertise, as well as benefitting from the experience of others. Based on the value of what we can offer and what we can learn, we will continue to make a strong case for our continued participation in transnational programmes, even as a third country. That is why we will continue to be a visible presence in Brussels and beyond, and we are already looking forward to attending the EU Week of Regions and Cities in 2018!